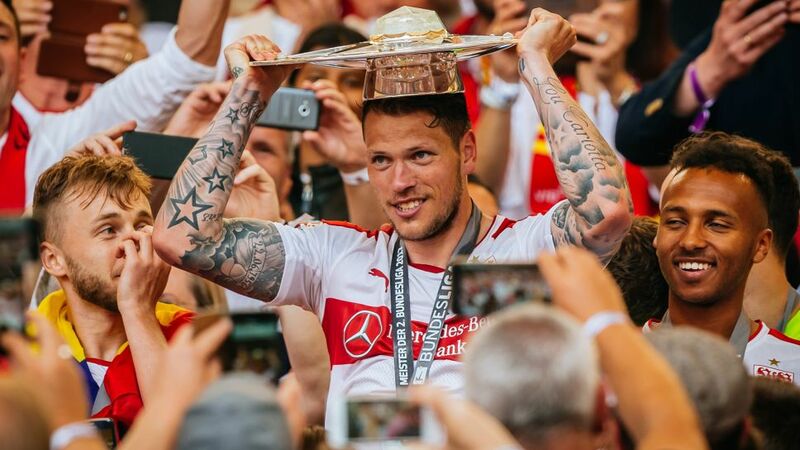 Stuttgart succeeded in bouncing straight back into the Bundesliga after just one season in Bundesliga 2, building up a head of steam after a rather slow start to win the league with an average crowd eclipsing those of the top-flight champions in Italy, France, England and the Netherlands. The 2007 Bundesliga champions are back in the top flight ten years after clinching their last title, and just 12 months after the conclusion of a 41-year permanence in the Bundesliga had seen the club plunge to a new depth. It was understandable, therefore, that a rebuilding exercise took place last summer with Jos Luhukay – who had previously led Hertha Berlin, Augsburg and Borussia Mönchengladbach to promotion – the man earmarked to make Stuttgart his fourth successful promotion project. Jan Schindelmeiser took over as sporting director and the fans flocked to the Mercedes-Benz Arena to get behind the team, setting new records for Bundesliga 2. The euphoria did not last long, however. After just four matches, the first cracks started to appear and irreparable damage to the relationship between Luhukay and Schindelmeiser saw the Dutch coach pack his bags. That bolt from the blue could well have been a blessing in disguise, as it compacted the club and, with the hitherto unknown Hannes Wolf placed in charge, Stuttgart stealthily started to turn things around. The then 35-year-old may not have been known in professional circles, yet he had an impressive CV of having guided Borussia Dortmund to titles at two different youth levels. His proficiency with young players saw him blood new talent together with the already-present array of more experienced heads, thus finding the blend for success. "We've come on a great deal under Hannes Wolf," said club captain Daniel Ginczek. "He's a coach with clear ideas and he gets his message across, pushing and supporting us in training."